-2x used API 2520 DOAs dated 2010 (good and working condition, clean pins). But I have 2 left over that I want to get rid of- cleaning out the attic, and my head as well !). 15 euro plus shipping, and I'll send both (not the same model by the way). I'll check both for function before sending out. For use with a guitarport you might have to add RAM, depending on the model. I purchased these a few years ago on Ebay for 20gbp each. I never got around using these. The pair for 25 euro plus shipping. I have a few documents for wiring these up, should be easy to do. Various 50k lin sliders (both nib, and shortly used), Free with an order . used dual concentric 22kLog pots, used dual concentric 22k antilog pots, and more pots that I won't use. For free with an order, or just for shippingcosts. -about 10 used sliders for Urei 530 , for free/shippingcosts. LA 4a clone (Luny Tunes), VTL4/C2 optocoupler. In a scrap case, but with a nice NRG engraved frontpanel for a DUAL La4 version. As you can see, only one channel is fitted, as I used the second channel for another project. If needed, I can supply the knobs and pots for the 2nd channel, but not sure I can also add another rotary switch. It has OEP outputtransformers for 2 channels. Sony high grade VU meters that i took from a professional Umatic masterrecorder. Sifam colletknobs. Sfernice (conductive plastic) pots, Seuffer milspec rotaryswitches. it is calibrated and functional. 70 euro plus shipping / paypalfees will do : priced to move fast ! Pair of used DDA VU meters. Free with an order. The dual G1176 + Micboxes are sent out today, after I found the culprit of the unequal response of the inputpots of the G1176....and fixed it of course, hahaha. I'll take the SSL eq's if the other buyer falls through. Danner format discrete amplifier ASV-18tr , and an M/S matrix board for sale. -10 pcs of Analog Devices AD825 opamps on Browndog soic to DIL adapters, so they can be used to replace NE5534's or similar opamps. These were expensive when I bought them (about 15 euro each), but I'm sure I paid too much . I see these without the adapters for about 4 euro each on Ebay. -10 used but working THAT 2159 VCA's. Offer whatever you want, I'm not going to use them. 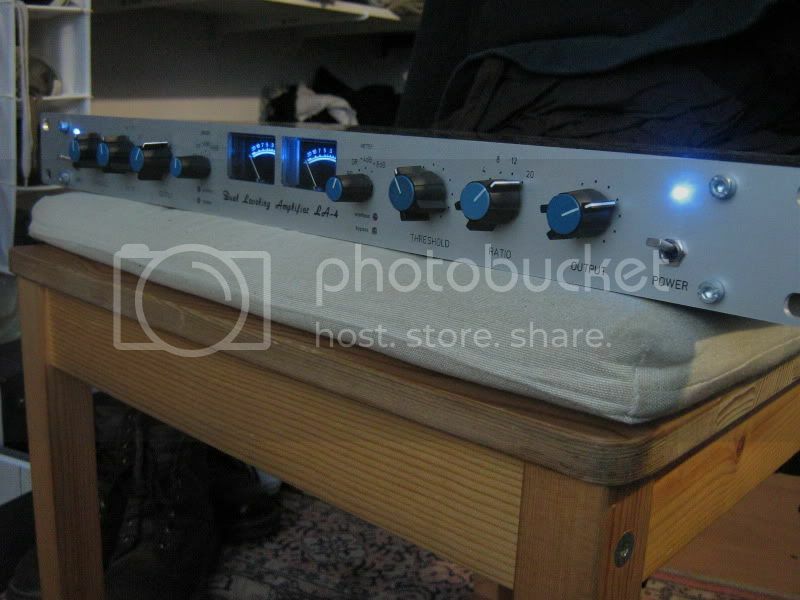 Re: FS Neve channelstrip with defect : 100 euro. opamps, lots of free stuff. NEVE and other stuff added. The following stuff is sold and sent today. -M/S board, tested and working. I'll desolder the wires. A sidenote : there's a fault on the pcb, therefore I lifted one of the legs of an IC and attached a wire to it. Simply connect the pole to it (i'll write down a note about all the inputs and outputs). -500 format experimental 19” case with +15/0/-15 SMPS. Originally this was for a computer thingy, I used it to power my first 500 module, which was a Radial Engineering EXTC. Don't expect something fancy, it's made from scrap. -Don Audio Point to Point PULTEC FILTERS mounted on a temporary frontpanel. It only needs a (stereo) amp, optional imput transformers, PSU, and a case. 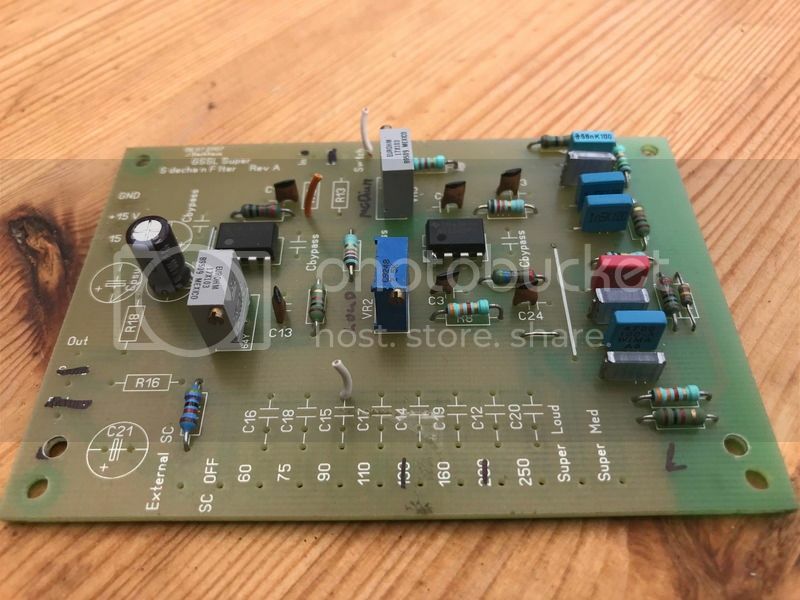 It's tested and working, i initially wanted to use these with a pair of Siemens U274 amps which sound exactly what I was aiming for, but the pair I have isn't suitable for stereomatching…. unfortunately. Then I thought of using other amps, but truth is… A), I don't have enough space in my setup for another 2 unit device. B) I do most ITB nowadays, so…..I'd better let this go. All pots and rotaryswitches are bought from Banzai, matched inductor and capacitorsets are purchased from Don Audio. Potknobs are from DIYtubes. -pair of pre wired 500 looms. 500 stuff and a Rossi reamper added ! Mosses and Mitchell patchpanel added. SSL 555f , SSLtech 9k pre, Lexicon LXP15 and MOD doa's added. DOA's : moved to Ebay. Mosses and Mitchell TT patchpanel. 88 points, 48 points are wired to Dsub25. (3x top row and halfnormalled to 3x bottom row). The other patchpoints can be soldered to your needs. PCB, stuffed, tested and working. needs +18/0/-18v plus 48v in case needed. I'll add a 2nd board that needs troubleshooting for free.